Our focus is to provide quality temporary fencing that is built tough, is durable and is safety compliant and meets all regulatory requirements; keeping your employees & the public safe from injury at all times. Our fencing is sturdy, 1.8m high by 2.2m wide galvanised steel panels coming with fleet clamps and are amazingly priced! At only $12.10 per metre for up to 6 months including GST, how can you go wrong?! After 6 months its only 55c per metre per week! Delivery and pick up are also only $55 each way. If you would like us to erect it for you and dismantle it's only $10 per metre + GST! 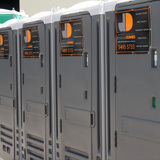 Dinkum Dunnies have all your needs covered to keep your site secure at all times. Dealing with us is simple and flexible, we can deliver the fencing and erect it for you as well, or to save costs, you can erect it yourself. Whatever is easiest for you, we are here to help! There's no minimum order required, so whether you need just a front fence or the whole property we are here to help. The fencing is galvanised steel mesh that is strong and durable so you will have no worries. We also provide event fencing! Do you need your event secured? We can help you keep your event safe so you can have peace of mind. Give us a call on 5495 5733 to discuss availability and event pricing. Temporary Steel Fencing is a priority for building and construction work sites. Whatever your building project, whatever you need to get the job done, just ask us and we'll deliver. 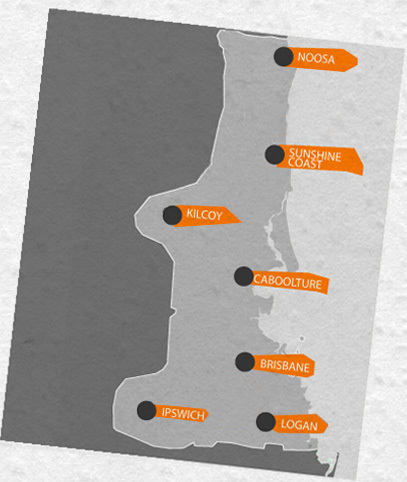 RESIDENTIAL FENCE HIRE, COMMERCIAL FENCING RENTAL, CONSTRUCTION SITE STEEL FENCING HIRE FROM BRISBANE TO THE SUNSHINE COAST AND IPSWICH. Our STRONG & SECURE steel mesh fencing leads the way in construction fencing design. Our panels are designed and manufactured to the exacting standards required by OH&S, government and local council legislation. Hire Dinkum Dunnies TEMPORARY FENCING by the day, week or month, at COMPETITIVE LOW RATES - GUARANTEED!